AVAILABLE 12/05/2018 WITH THE LISTING PRICE. 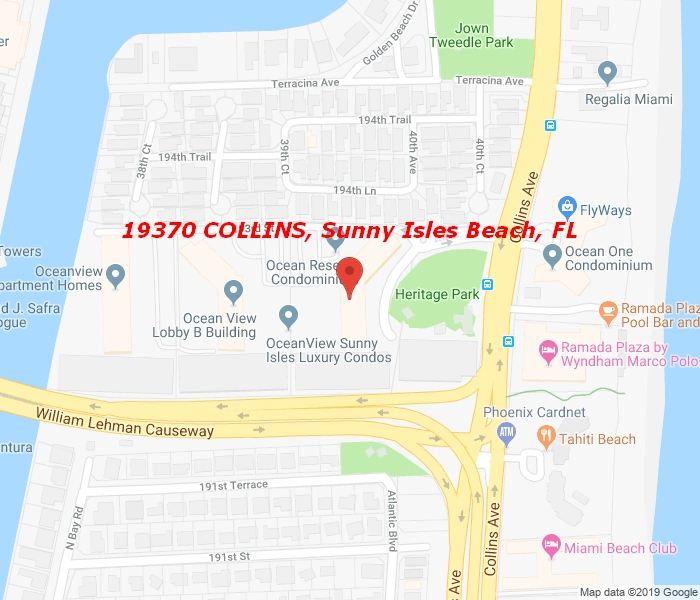 PLEASE BE AWARE THAT AFTER DEC 16 PRICE INCREASE 35%-50% based on the price listed.This Ocean View spacious 1 bedroom condo with 1 bath has views from the balcony of the ocean from both Sunny Isles BEACH a nd Golden Beach. It is fully furnished with all the house wares for your convenience. In the master bedroom you will find a full size king bed, the master bathroom is spacious.